The software RP Fiber Power can be used for analyzing soliton effects in pulse propagation; see the demo cases for higher-order solitons and the soliton self-frequency shift. 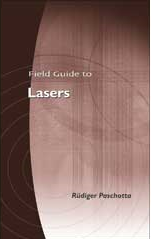 One could also include Raman scattering, investigate soliton effects in mode-locked fiber lasers, etc. In general, the temporal and spectral shape of a short optical pulse changes during propagation in a transparent medium due to self-phase modulation (resulting from the Kerr effect) and chromatic dispersion. Under certain circumstances, however, the effects of Kerr nonlinearity and dispersion can exactly cancel each other, apart from a constant phase delay per unit propagation distance, so that the temporal and spectral shape of the pulses is preserved even over long propagation distances [1, 3]. This kind of phenomenon was first observed in the context of water waves , but later also for light propagating in optical fibers . For a positive value of the nonlinear coefficient n2 (as occur for most media), the chromatic dispersion needs to be anomalous. Here, the full-width at half-maximum (FWHM) pulse duration is ≈ 1.7627 × τ, γ is the SPM coefficient in rad / (W m), and β2 is the group velocity dispersion defined as a derivative with respect to angular frequency, i.e. the group delay dispersion per unit length (in s2/m). For fibers, specify the dispersion and nonlinearity for one meter of fiber, for example. Under the mentioned conditions, the pulse can propagate as a (fundamental) soliton (or solitary pulse) with constant temporal and spectral shape. It only acquires a phase shift which is just half the nonlinear phase shift which the peak of the pulse would experience if only the nonlinearity alone were to act on it. This soliton phase shift is constant over time or frequency, i.e., it does not lead to a chirp or to spectral broadening. In most situations, it is therefore not relevant. 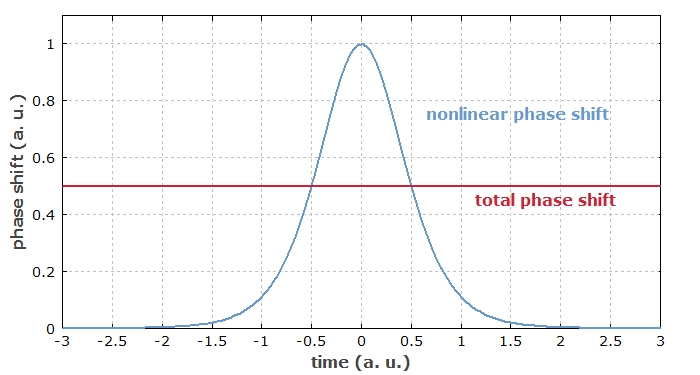 Figure 1: Blue curve: time-dependent nonlinear phase shift alone (without dispersion), which is proportional to the optical intensity. Red curve: overall phase shift, resulting from the combined action of nonlinearity and dispersion on a soliton. The constant phase shift does not modify the temporal or spectral shape of the pulse. As a quantitative example, solitons in standard telecom fibers (single-mode fibers for the 1.5-μm spectral region) can be considered. 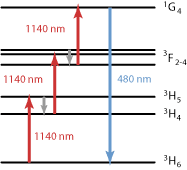 Assuming the common SMF-28e fiber of Corning, the effective mode area is 85 μm2 at 1550 nm wavelength, resulting in a nonlinear coefficient of 1.43 mrad/(W m). (The nonlinear index is assumed to be 3 × 10−16 cm2/W.) The chromatic dispersion at 1550 nm is +16.2 ps/(nm km), corresponding to −20 660 fs2/m. Using the above equation, we find that 1-ps solitons have to have a pulse energy of 51 pJ, corresponding to a peak power of 45 W.
For 10 times shorter solitons with a 100-fs duration, the pulse energy rises 10-fold to 510 pJ, whereas the peak power becomes 100 times larger (4.5 kW). The most remarkable fact is actually not the possibility of the mentioned balance of dispersion and nonlinearity, but rather that soliton solutions of the nonlinear wave equation are very stable: even for substantial deviations of the initial pulse from the exact soliton solution, the pulse automatically “finds” the correct soliton shape while shedding some of its energy into a so-called dispersive wave, a weak background which has too little intensity to experience significant nonlinear effects and temporally broadens as a result of dispersion. Solitons are also very stable against changes of the properties of the medium, provided that these changes occur over distances which are long compared with the so-called soliton period (defined as the propagation distance in which the constant phase delay is π/4). This means that solitons can adiabatically adapt their shape to slowly varying parameters of the medium. Also, solitons can accommodate to some amount of higher-order dispersion; they then automatically adjust their shape to achieve the mentioned balance under the given conditions. If the pulse energy is the square of an integer number times the fundamental soliton energy, the pulse is a so-called higher-order soliton. Such pulses do not have a preserved shape, but their shape varies periodically, with the period being the above-mentioned soliton period. Figure 2: This animated spectrogram shows how a third-order soliton evolves in a fiber. Solitons of higher orders exhibit even more complicated behavior. The image has been generated with the RP Propulse software. 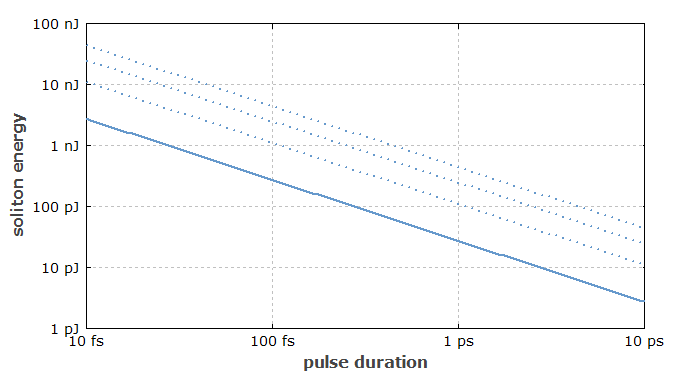 Figure 3: Relation between soliton pulse energy and pulse duration in a single-mode fiber. The solid line applies to fundamental solitons and the dotted lines to higher-order solitons (orders 2, 3, 4), where the duration is taken as the shortest duration in the oscillation cycle. Higher-order solitons can break up into fundamental solitons under the influence of higher-order dispersion and other disturbing effects. They are by far not as stable as fundamental solitons. Fundamental soliton pulses are technically very important, in particular for long-distance optical fiber communications and in mode-locked lasers (→ soliton mode locking). In the latter situation, soliton-like pulses can be formed when the typically lumped pieces of dispersion and nonlinearity in the laser cavity are sufficiently weak. Solitons are also applied in various techniques for pulse compression using optical fibers; examples are adiabatic soliton compression and higher-order soliton compression. When propagating in an optical fiber, soliton pulses are subject not only to the Kerr nonlinearity, but also to stimulated Raman scattering. For very short solitons (with durations of e.g. <100 fs), the optical spectrum becomes so broad that the longer-wavelength tail can experience Raman amplification at the expense of power in the shorter-wavelength tail. This causes an overall spectral shift of the soliton towards longer wavelengths, i.e., a soliton self-frequency shift [5, 6, 12, 16, 17]. The strength of this effect depends strongly on the pulse duration, since shorter solitons exhibit a higher peak power and a broader optical spectrum. The latter is important because the Raman gain is weak for small frequency offsets. During propagation, the rate of the frequency shift often slows down, because the pulse energy is reduced and the pulse duration increased . The soliton self-frequency shift can be exploited for reaching spectral regions which are otherwise difficult to access. 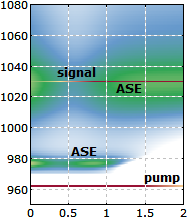 By adjusting the pulse energy in the fiber, it is possible to tune the output wavelength in a large range [10, 11, 13–15]. Soliton propagation, possibly with additional disturbing effects, can be investigated with numerical simulations (→ pulse propagation modeling). There are also some analytical tools, e.g. soliton perturbation theory, involving dynamic equations for small deviations of pulse parameters from those of the ideal soliton. The solitons as discussed above arise in a situation where the pulse does not exchange energy with the fiber. 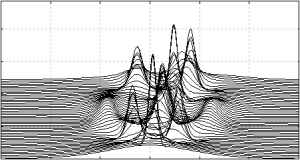 These (ordinary) solitons are therefore called conservative solitons. A much wider range of phenomena is possible when dissipative effects also come into play. For example, so-called dissipative solitons may arise even for normal chromatic dispersion in combination with a positive nonlinear index, if there is in addition a spectral bandpass filtering effect and also optical gain (amplification) to compensate for the energy losses in the filter. Another possible dissipative effect is related to saturable absorption. Although it is hardly conceivable to have an optical fiber in which all these effects take place in order to form a dissipative soliton, one may a similar phenomenon in the resonator of a passively mode-locked laser, containing not only a fiber, but also other optical components such as a spectral bandpass filter and a saturable absorber. If each of the relevant effects is sufficiently weak within one resonator round trip, the resulting dynamics are similar as if all the effects would be occurred in a distributed fashion within the fiber. In that sense, one may describe the circulating pulse in certain mode-locked fiber lasers as dissipative solitons. Note that strictly speaking we can never have a conservative soliton in a passively mode-locked laser, because we always have some saturable absorption and laser gain. A consequence of that is that the pulse energy and pulse duration in the steady state are fixed, whereas solitons in a fiber could have a wide range of energies and durations, where only their product is fixed. These fixed parameters are actually characteristic for dispersive solitons. However, as the dominant pulse shaping effects are often the conservative ones (namely dispersion and nonlinearity), one nevertheless doesn't call these pulses dissipative solitons. Apart from the temporal solitons as discussed above, there are also spatial solitons. In that case, a nonlinearity of the medium cancels the diffraction, so that a beam with constant beam radius can be formed even in a medium which would be homogeneous without the influence of the light beam. Temporally, the beam properties can be constant. The Kerr effect is far too weak to realize a spatial soliton with constant optical power under practically achievable conditions, but photorefractive effects can be utilized.